Photo 068. 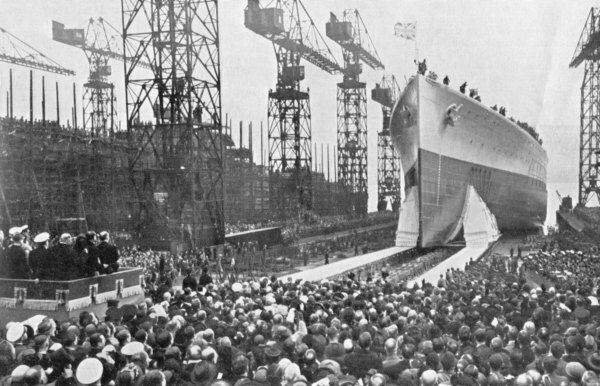 Launching of HMS Prince of Wales. The Launching of the HMS Prince of Wales at Birkenhead on 3 May 1939. In only two years, this British battleship of the King George V Class would have her baptism of fire at the Denmark Strait against the German battleship Bismarck.